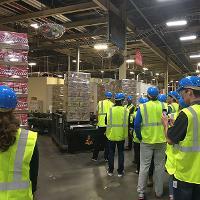 Supply Chain and Logistics professor Heather Lawder, took logistics students on a tour of Anheuser-Busch's bottling operations at the Cartersville facility where they got introduced to how their supply chain works. Two different tour groups went; one is pictured in the photo. Five Engineering Technology seniors, James Thompson, Felix Febres, Najim Muhammad, Jordan Gaines, and Christian Tiomo, submitted their research to the National Conference on Undergraduate Research (NCUR). They completed their research on impact event data recorder this semester, during their senior capstone course with Professor Daren Wilcox. The National Conference on Undergraduate Research (NCUR) is the largest conference on undergraduate research in the country. Each year, approximately 4,000 undergraduates from all over the country present their scholarship as posters, oral presentations, performances, and works of art. The objective of their project is to produce an Impact Event Data Recorder (IEDR) to take pictures of the scene when a vehicle accident occurs. In addition to this capability, this IEDR will capture the values of an accelerometer sensor to analyze acceleration upon impact and time elapsed from the start of car drive until impact (assuming the car and IEDR go ON and OFF simultaneously). The accelerometer sensor parameters are selected based on high values of acceleration measured in “G” units (gravity). 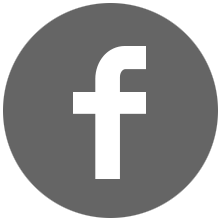 The accelerometer continuously monitors the acceleration of the vehicle and upon collision, if these pre-established values are reached, the system will trigger two cameras to take a series of pictures for a few seconds. These images may be used by accident investigators to analyze collision data before coming to a conclusion about what caused the accident. The analysis of the images and the accelerometer sensor readings are intended to assist in increasing safety and protection to motor vehicle operators during road accidents. 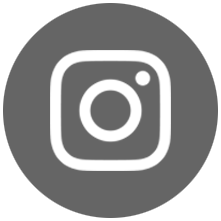 The investment made in this device is significantly less than a conventional Device Crash Data Retrieval installed by Bosch in cars such as Nissan, Volvo, and Toyota, among others. 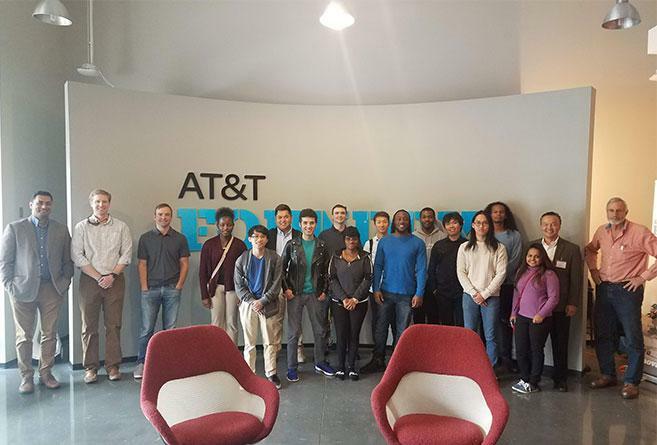 The computer engineering students went on a technology square field trip. Located in Midtown Atlanta, Tech Square has the highest density of startups, corporate innovators, and academic researchers in the entire southeastern United States. 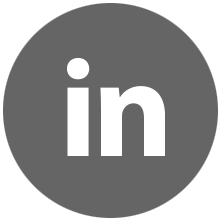 This makes it simple to benefit from the proximity to and interaction with other startups, researchers, labs, venture and capitalist. 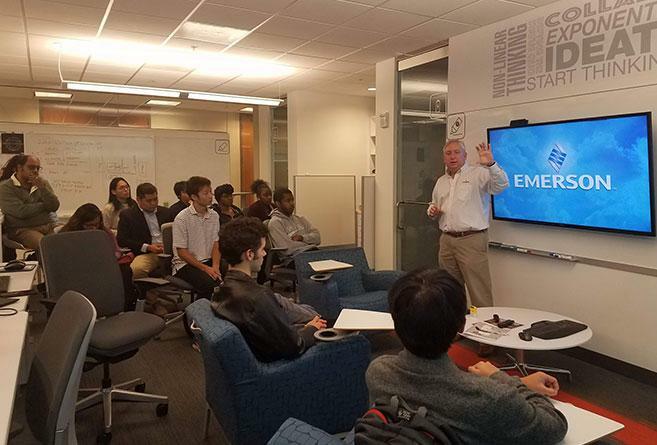 Students toured the Emerson and AT&T innovation centers and met with engineers and professionals to learn about what they do as well as emerging technologies. 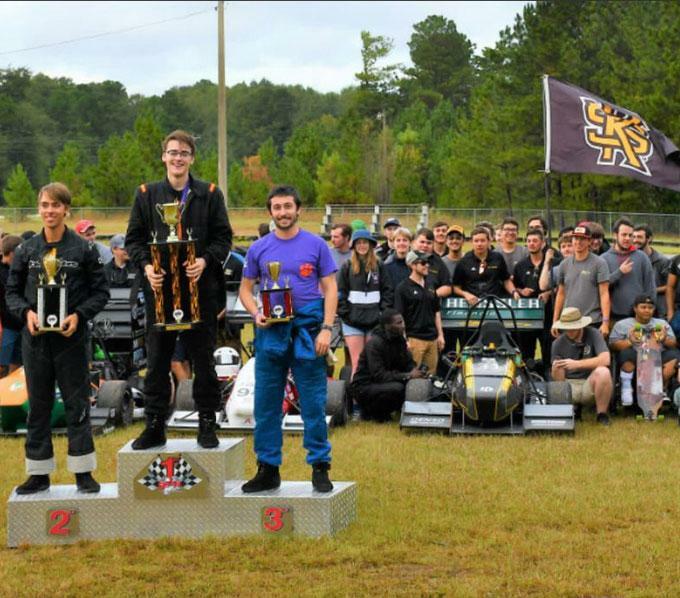 Congratulations to KSU Motorsports Formula SAE team for their stellar performance at the 5th Annual FSAE Shootout hosted by GSKA in Barnesville! There were five others schools present at this event, Clemson, Central Florida, Georgia Southern, Alabama, and Florida Atlantic. Open Testing began on Friday and the feature Race was on Saturday, from the very beginning it was a battle with Clemson for 1st place. 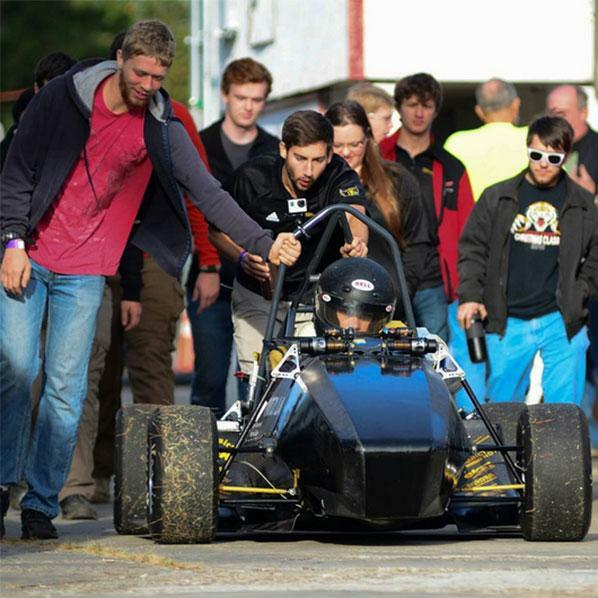 The KSU team set an all-time lap record of 23.136, missing first place by 0.065 seconds! 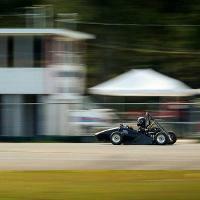 KSU Motorsports Formula SAE team came in second place. Henssler Financial was the team sponsor for this event. Michael Nolan and Joseph Lee are co-authors of the paper entitled "Feasibility Study of a Microfluidic Solenoid for Discrete Quantitation of Magnetized Cells." It has been accepted for presentation at the EMBS Micro and Nanotechnology in Medicine Conference (MNM 2018). The publication discusses microfluidic solenoid for discretely counting white blood cells. “They did a tremendous job and put in a lot of work into the research and the paper,” said Dr. Hosen Lee. 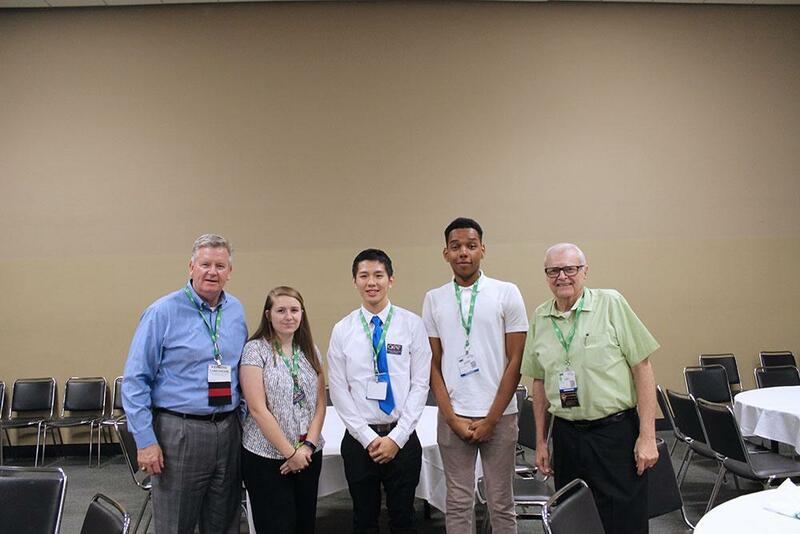 Nolan and Lee will be going to the conference and attending the presentations and talk with engineers, industry people, researchers, faculty, and other students to broaden their view and help provide more ideas on how to develop the research further. The conference is in Hawaii from December 10, 2018 to December 14, 2018. Read more about their research. 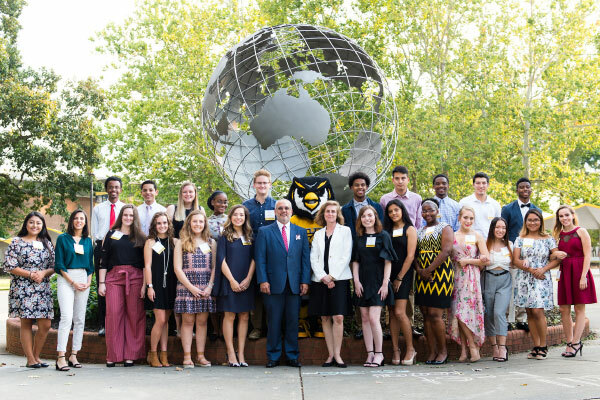 Four of the thirty-five Kennesaw State University students that have been selected as the first cohort of the Coca-Cola First Generation and STEM Scholars program are engineering students. They are Cristobal Gonzalez, Construction Engineering; Taofik Lawal, Mechanical Engineering; Bradley Letchford, Electrical Engineering; and Keoni McKeever, Civil Engineering. Kennesaw State University recently received the unique gift of a bathtub in the name of late alumnus and former adjunct professor Edward Jordan ’82. The tub was presented to Renee Butler, interim dean of the Southern Polytechnic College of Engineering and Engineering Technology. Jordan earned an Bachelor's of Science in mechanical engineering technology in 1982 from what was then called Southern Technical Institute. 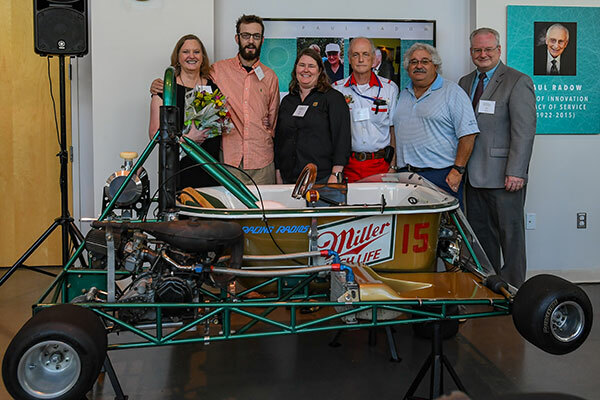 After passing away in December 2017 at age 65, his wife, Shirley Jordan, and their close friend, Dwayne Whittle, wanted to provide a gift to the College and leave a legacy of the extremely popular bathtub races that took place in Marietta from 1966 through 1991. 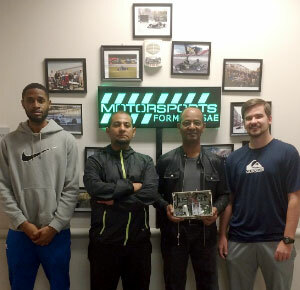 Henssler Financial hosted KSU Motorsport team and recent alumni for a day at the Atlanta Motorsports Park, in Dawsonville, GA, for a day of karting. 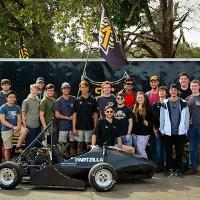 Henssler hosted the event to celebrate KSU Motorsports team, their work towards the competition in Lincoln, NE, and the alumni. 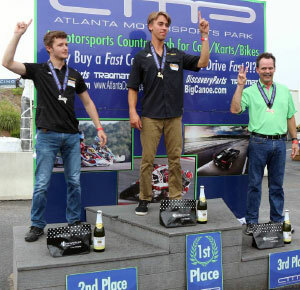 Congratulations to the winners – 1st Place: Robbie Lollar, 2nd Place: Spencer Symons, 3rd Place: Troy Harmon. 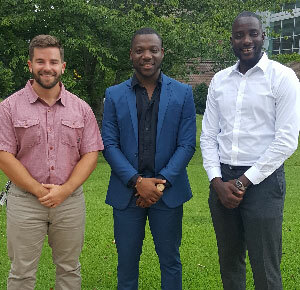 For their senior project class, industrial engineering technology students Tyler Trapp, Damto Nhalocky Lare, and Aziz Amadou Dioffor were required to do a complete feasibility analysis of a new product line - in an existing manufacturing facility. The students performed product design of 2 models including marketing analysis, product cost, and labor cost. Tyler will graduate summer 2018 with his industrial engineering technology degree and Damto and Aziz will graduate fall 2018 with their industrial engineering technology degrees. 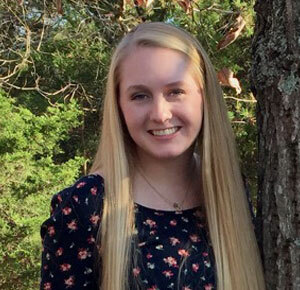 The Shaw Industries Co-Op of the Month for May is Laura Cottongim, an industrial engineering student at Kennesaw State University, Laura works in the tufting department at Plant 80. She was nominated for Co-Op of the Month by her supervisor Tim Evans, industrial engineering manager. During her co-op, Laura has been the driving force behind a system that increases revolutions per minute and operator efficiency on all of their machinery. She has met with department managers, supervisors and other staff and gained enough support to implement this process on the operations floor. 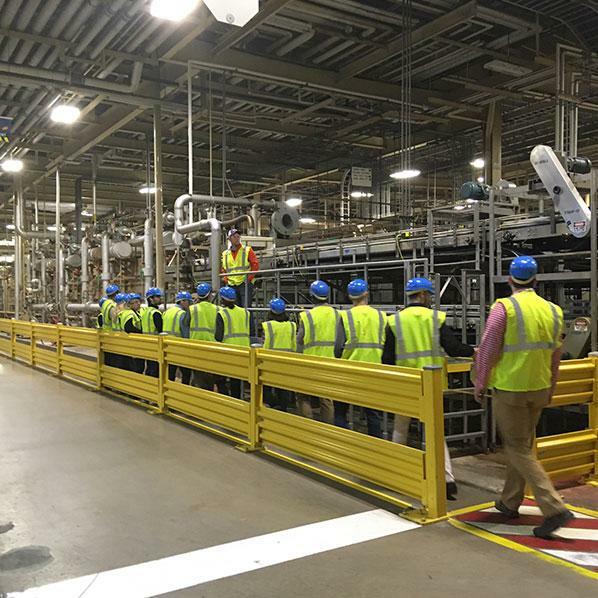 Increasing the speed of the tufting process leads to an increase in production, resulting in a surplus of cost savings for Plant 80. The savings associated with a slight increase in this department would help them meet their overall goal for 2018. Jeffery Thomas, saved the day with knowledge he obtained from a Mechanical Engineering Technology degree at KSU. The Supervisory Control and Data Acquisition (SCADA) system incorporates computers, network data communications, and graphics. When the SCADA system at Pole Bridge began to fail, a replacement became necessary. The division discovered that the department's version of the program was outdated and stock parts were no longer being manufactured. To remedy the issue, two engineering firms provided quotes in the range of several hundred thousand dollars for the design of a new system, while the actual construction would be in the millions. Jeffery Thomas quickly asked if he could inspect the broken system, as he had recently earned an engineering degree. Thomas was able to identify and match the outdated parts with the latest versions available on the market. He then secured the manufacturer's assistance to update the SCADA system's software - allowing the new parts to recognize Pole Bridge plant's old system. After a day of uploading software and replacing parts, the Pole Bridge SCADA system began working without error. 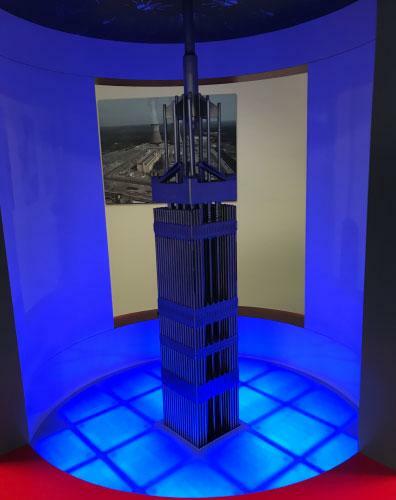 Because of Thomas' knowledge and resources, Pole Bridge has a fully functioning SCADA system, which saved the department millions of dollars in replacement costs. Thomas' determination to keep the plant operating correctly and his resolve to solve the problem quickly and efficiently saved the day. When Tom Currin joined the former Southern College of Technology in 1991 as a professor of civil engineering, he gave himself a two- to three-year window before he would return to private consulting. 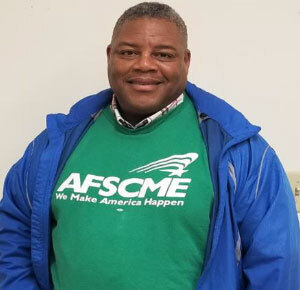 A few years earlier, he had left the private sector after achieving all of his goals in order to try his hand in academe at Western Kentucky University. Within six months of his hire date, he became chair of the university's Engineering Technology Department. Three years later, after constant prodding by a colleague, he made his way to Marietta to interview for another teaching position at Southern Tech. 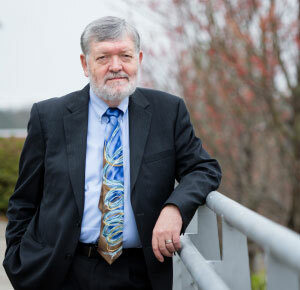 Currin never did return to consulting full time, and on June 30, he will retire as the founding dean of what is now Kennesaw State University's Southern Polytechnic College of Engineering and Engineering Technology following an illustrious 27-year career at the Marietta campus. When Currin joined Southern Tech, a little more than 4,000 students were enrolled. There was no engineering college, just a handful of engineering technology programs. Through September 2006, Currin taught in the civil engineering technology department at Southern Polytechnic State University, and in October of that year became the founding dean of the School of Engineering. As part of the transformation into the state's second largest engineering school, he was tasked with initiating and obtaining national accreditation for the school's first undergraduate and graduate engineering programs. 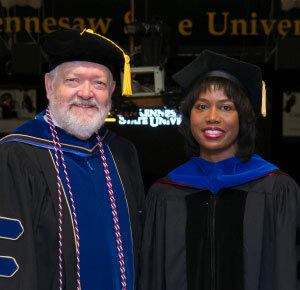 In the fall of 2015, SPSU consolidated with Kennesaw State, and Currin became dean of the newly formed Southern Polytechnic College of Engineering and Engineering Technology. Currently, the college offers more than 20 undergraduate and graduate degrees in engineering and engineering technology. As of fall 2017, the college has more than 4,400 students. Before he would consider retiring, Currin made a goal of creating master's degrees for each of the programs offered by the college. He succeeded in getting them in all programs except mechatronics, which he feels confident will come after his retirement. While reaching for those goals, however, Currin had not anticipated burgeoning minors in nuclear and aerospace engineering and the creation of the Department of Computer Engineering. In 2016, he was named Georgia Engineer of the Year, an honor bestowed annually by the Georgia Society of Professional Engineers on only one of the state's 22,000 professional engineers. A plaque commemorating the honor hangs in his office behind his desk. Though he holds professional engineering licenses in several states, including Massachusetts and Georgia, as well as graduate degrees in civil engineering from North Carolina State University and the University of Connecticut, Currin said he intends to enjoy retirement with his wife at their Marietta home, where he hopes to entertain friends and family. “We may take on some writing and music projects,” said Currin, who played drums in a rock band while earning his undergraduate degree at the University of Massachusetts – Dartmouth. Those who have worked with him over the years say his absence will be felt. The Computer Engineering department and IAB member, Dave Burns, VP of QTS Data centers, collaborated to bring students a half-day professional development workshop to teach interpersonal and leadership skills. Many walked away excited with a framework and set of tools to kick-start their career. One of the participants said, "The class helped me highlight the areas I need to grow in order to be a better leader and team player. I greatly value the practical tips given through the seminar such as how to make a good first impression, speeches, and public speaking." Another student shared how he got a job from Lockheed Martin because of a successful interview with many discussion points on leadership and temawork. 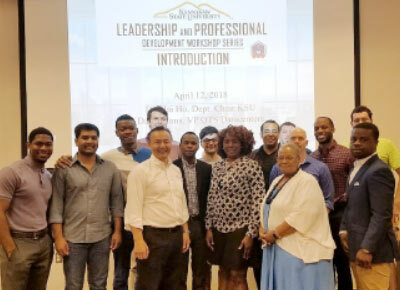 Pictured: Students and speakers posing at the Leadership workshop. 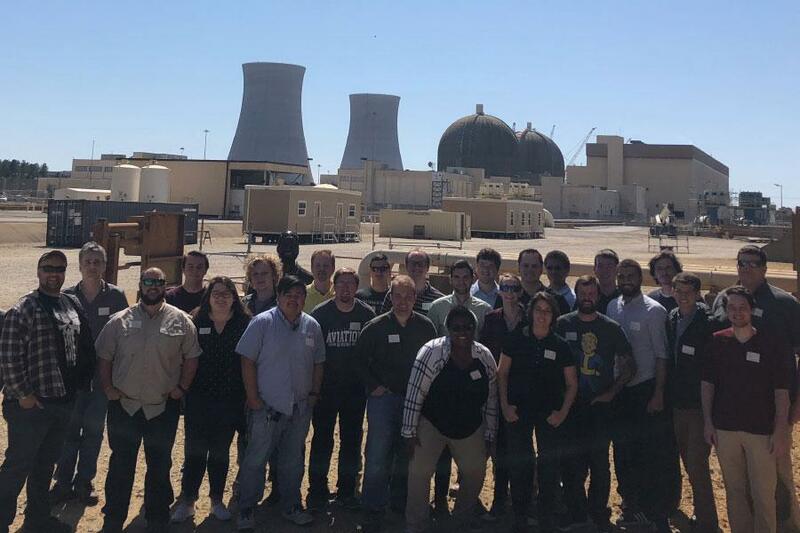 KSU students pursuing a nuclear engineering minor visited Plant Vogtle in Waynesboro, GA. The Vogtle Electric Generation Plant is located adjacent to the South Carolina border, in Waynesboro Georgia. The two-unit plant broke ground in 1974, with its first commercial operation beginning in May of 1987. Unit two started commercial operation in May of 1989. 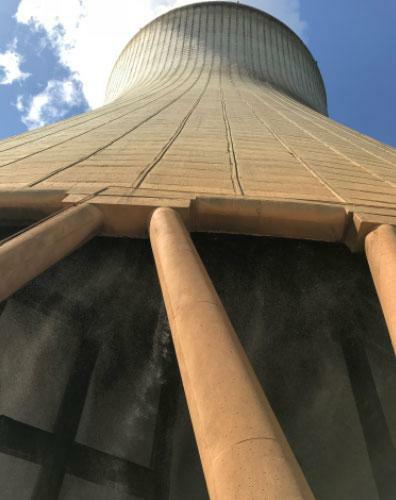 The plant is powered by Westinghouse pressurized water reactors and each unit is capable of generating 1,215 megawatts for a total capacity of 2,430 megawatts. Plant Vogtle employs approximately 900 people who oversee the plant's operations around the clock. This experience expanded the students' knowledge far beyond the classroom. They toured training reactor control rooms for old reactors (units 1& 2) as well as new reactors, AP1000(units 3 & 4, currently under construction). In addition, they were able to observe the main nuclear reactors components- including the 548-ft cooling towers. 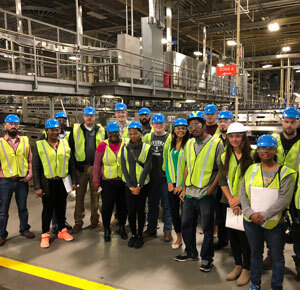 Students who participated in the tour are pursuing majors in mechanical engineering, mechanical engineering technology, electrical engineering, and systems and industrial engineering. 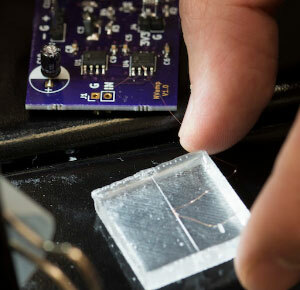 Dr. Hoseon Lee and Dr. Bill Diong seek to reduce energy use by wireless power transfer. They have obtained a $69K grant from the U.S. Environmental Protection Agency to do so. This project develops a method of replacing power cables in aircrafts with wireless power transfer systems that are lighter and reduce the weight of the plane. This reduction factor per plane multiplied by the total number of flights in the world, results in a substantial reduction in fuel used during flights. This reduction in aircraft weight and fuel consumption will support the goal of improving air quality, while also having the potential to support the aircraft industry with more environmental efficient technology and practices- resulting in decrease emissions. 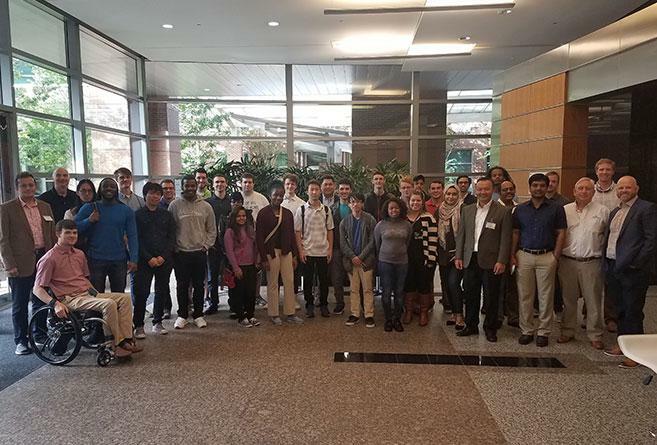 In April, one of the Computer Engineering IAB members from The Dennis Group - a consulting and design firm in the industrial automation and process control industry - gave a technical seminar to 45+ students. 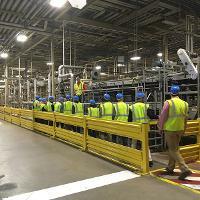 They were intrigued to hear about building an automation plant to manufacture thousands of pizzas per day. 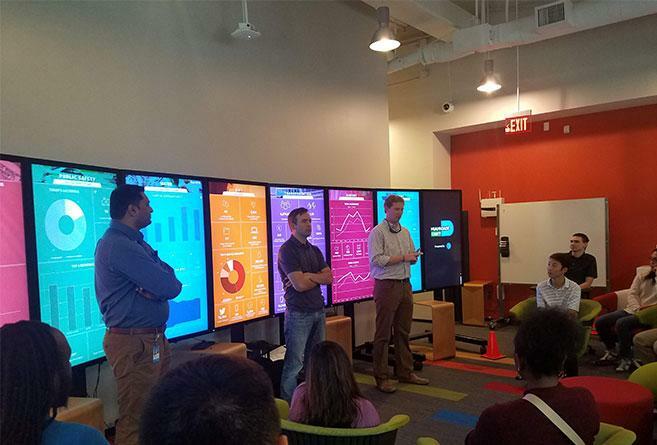 Senior Manager, David Ziskind said, "It's a pleasure for us to come here and share with Kennesaw State University students some real world applications and career aspects in this industry." 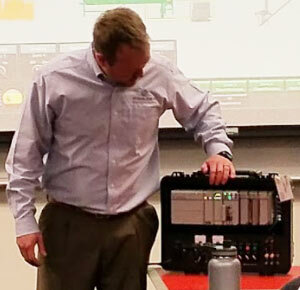 Pictured: Zac Messer, Automation engineer at Dennis Group, demonstrated PLC device at the industry seminar. 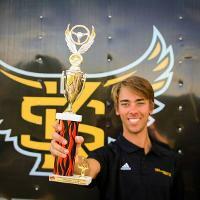 Kennesaw State University’s Southern Polytechnic College of Engineering and Engineering Technology (SPCEET) students are scholars you would appreciate. Oftentimes, they are married with a family and still pursue their education, on a full-time basis – while holding down a job. While today’s students carry on many of SPCEET’s traditions, the cost of their education is certainly higher than it used to be. In Georgia, full-time undergraduate students (12 or more credit hours per semester) currently pay $4,476 per semester in tuition and fees. Making an online gift via our secure online giving site. Making a gift via mail. Please remember to designate your gift to KSU’s Southern Polytechnic College of Engineering and Engineering Technology on the “For” line of your check. Putting your matching gift program to work, if a company that matches employees’ gifts employs you. Systems & Industrial professor, Dr. Christina Scherrer took here undergraduate logistics students on a tour of the Anheuser-Busch facility in Cartersville, GA. Students had the opportunity to walk around the facility and get a real-world experience of the industry. 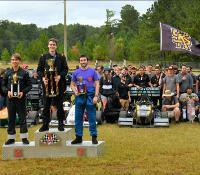 Kennesaw State University’s Motorsports Formula SAE Team traveled to Lamar County Speedway on Saturday, October 29th for the 4th annual FSAE match race hosted by the Georgia Sprint Karting Association. 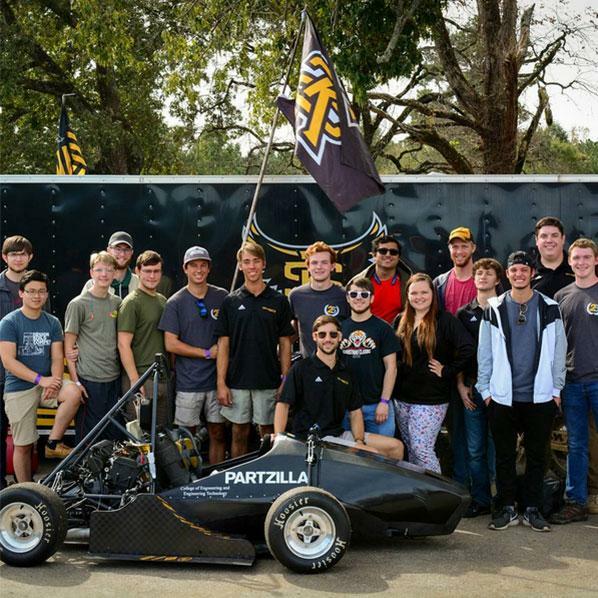 The FSAE team won fastest Georgia FSAE team and second overall. Dr. Christina Scherrer has been selected as a recipient of the 2017 Outstanding Research and Creative Activity Award. She is a professor in the Systems and Industrial Engineering department in the Southern Polytechnic College of Engineering and Engineering Technology and has been faculty since 2005. Christina Scherrer’s primary research has been in the application of industrial engineering to the public sector, especially public health. Federal and state agencies, state dental directors, and the governor’s office to inform policy – both in Georgia and nationally have used her work. She has collaborated with the Centers for Disease Control and with the Georgia Health Policy Center. Recently she served on a systematic review for the Community Preventive Services Task Force of the cost effectiveness of school based dental sealant programs. 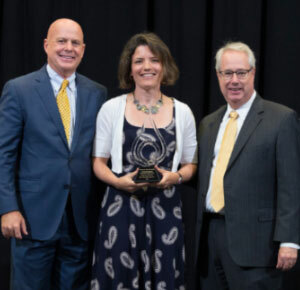 The Outstanding Research and Creative Activity Awards are designed to encourage, reward, and publicly acknowledge sustained excellence in research and creative activity by members of Kennesaw State University’s faculty. 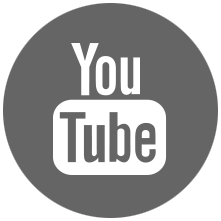 The award recognizes excellence in the visual and performing arts, in the publication of scholarly work, in the completion of research and sponsored projects, and in the development of new and innovative ideas in research, and creative activities. Any full-time teaching faculty with an earned terminal degree and minimum of 5 years of service at Kennesaw State University, with a total of 10 years of higher education experience, is eligible to apply for the award. Each award consists of $10,000 and a plaque, with up to eight awards presented annually. To be awarded, the candidate must demonstrate a sustained record of research or creative activity and an impact on his or her field of study. The selection committee looks for originality, creativity, productivity, and for an outstanding body of scholarly or creative activities that has gained national and international recognition. Dr. Christina Scherrer was recognized at the University’s annual Honors and Awards Ceremony at the beginning of fall semester, for Engineering Applications. Terry Nutt, of Leica Geosystems Solution Center, presented two SubSurface Magnetic Locator instruments to Professor Daniel Branham of Kennesaw State University’s Southern Polytechnic College of Engineering and Engineering Technology for the Department of Civil and Construction Engineering on August 24, 2017. This gift of equipment will benefit students in their hands-on fieldwork as they progress toward their B.S. degree in Surveying and Mapping, the only BS program for surveying offered in the state of Georgia. 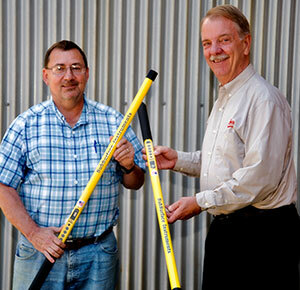 Kennesaw State University’s Southern Polytechnic College of Engineering and Engineering Technology appreciates this generous gift-in-kind from Leica Geosystems Solution Center and SubSurface Instruments, Inc. The American Institute of Aeronautics and Astronautics (AIAA) holds an annual student aircraft design competition. 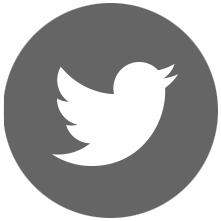 This competition has several categories – for undergraduate and graduate students. 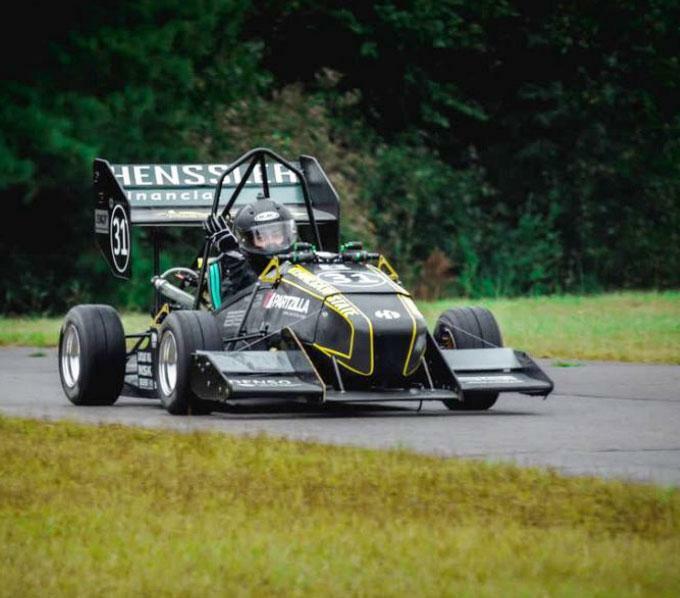 In Spring 2017, a group of three Kennesaw State University (KSU) students, pursuing minor in Aerospace Engineering, submitted their design for the competition. They designed a multi-mission amphibian aircraft that is capable of taking off and landing from water or ground and accomplish three pre-defined missions. As part of their design, the students built Computer Aided Design (CAD) models and performed Computational Fluid Dynamic (CFD) analysis as well as multiple other disciplinary analyses. Dozens of teams from all over the world submit their designs for the competition. 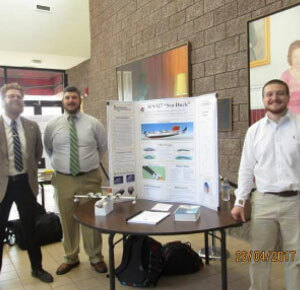 The KSU team designed their aircraft as part of their senior design project and won an overall second place award – in the undergraduate category submitted. The award comes with cash prizes and certificates. 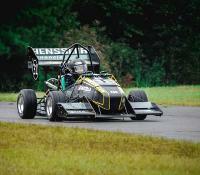 KSU offers a minor in Aerospace Engineering. 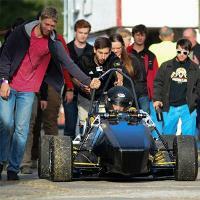 The minor is open to all engineering students. New and prospective Computer Engineering (CpE) students, along with faculty members from the CpE department as well as other departments, celebrated the official commencement of the CpE department. 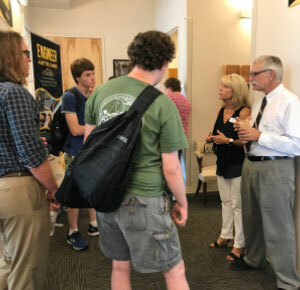 Students were able to interact with other students and become acquainted with fellow professors in the department. They were also able to ask questions about the new major as well as view the projects displayed around the department. “I really appreciate this opportunity to meet with the faculty and staff. This is exciting,” said one of the student visitors. 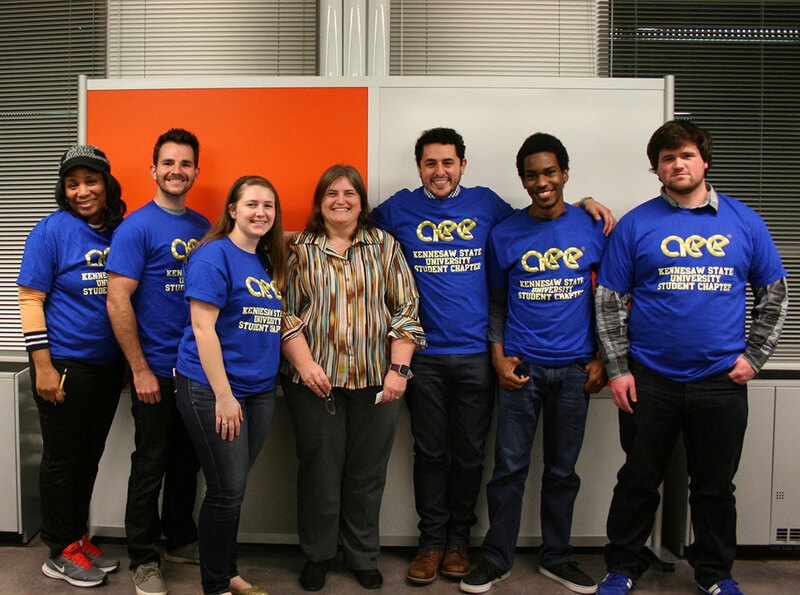 This celebration included refreshments and a chance for students to win awesome prizes, like a Raspberry Pi! The Honorable LaDoris “Dot” Harris and Dean Thomas Currin were featured at the July 28th commencement ceremonies for Southern Polytechnic College of Engineering and Engineering Technology graduates. Dot provided the commencement address for the 10:00 AM ceremony. Dot Harris graduated from the University of South Carolina with a BS in Electrical Engineering and earned her MS in Technology Management from Southern Polytechnic State University. She has more than 25 years of leadership in corporate America, ranging from engineer to corporate officer. From April 2012 through January 2017, Dot served as the Director of the Office of Economic Impact and Diversity at the U.S. Department of Energy - under President Barack Obama. She also served in an assistant secretary level position at the Department of Energy. Dot is the Co-Founder, Chairman, and CEO of Jabo Industries - a successful minority-woman owned engineering management consulting firm concentrated primarily in the energy, information technology, logistics, and healthcare industries. 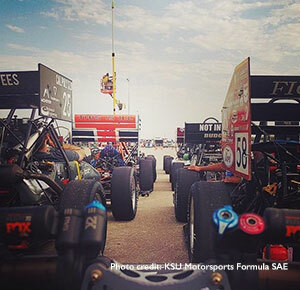 Kennesaw State University’s Motorsports Formula SAE Team traveled to Lincoln, Nebraska – to compete with over 100 universities in the FSAE Student Design Competition, June 21 -24. Approximately 80 teams competed in the Internal Combustion category and 20 teams competed in the Formula Electric category. 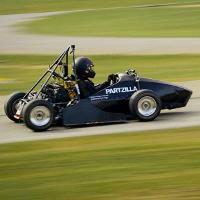 KSU Motorsports competed in the Internal Combustion category. For the fourth year in a row, they brought home a trophy. This year they brought home 3rd place for cost, which is the third year in a row KSU Motorsports has brought home a trophy for cost – showing their steadfast ability to manage their costs in a highly competitive environment. Overall, the team finished 59th – ahead of local rival, Georgia Tech.